The Lesley Hall Scholarship 2018 applications are officially open. 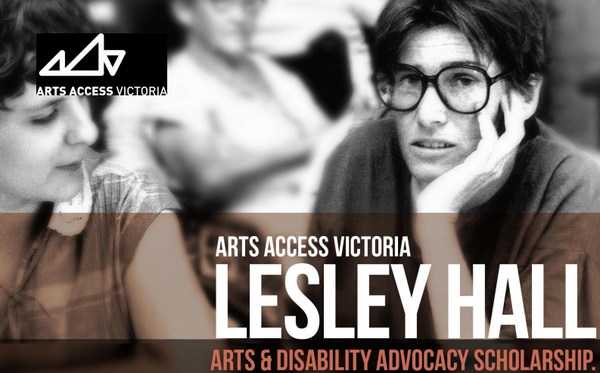 The Lesley Hall Arts and Disability Scholarship is an annual scholarship offered by Arts Access Victoria (AAV) which recognises the power of the arts to influence social change. It honours the life and activism of the late Lesley Hall, a tireless advocate for the human rights of people with disability. 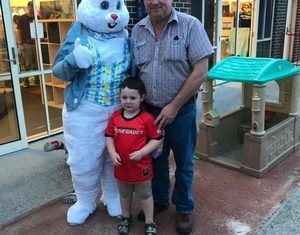 Despite the many advances in community inclusion for people with disability, significant obstacles to the achievement of full and equal participation remain. The successful applicant will be a person with disability who has an idea for an artwork or art project that reveals the experience of disability and provokes debate about human rights and disability. This award will support the successful scholarship winner to deliver an arts project or artwork that will highlight the experience of disability, promote human rights for people with disability or advocate for social change. In addition to a $5000 grant, the scholarship winner will be offered a 12 month internship at AAV, working with mentors to develop their advocacy skills and networks. To apply, download the application form from our website: artsaccess.com.au/lesley-hall-2018. Applications close at 5pm on Wednesday 31 October 2018. For more information and to apply, please read the Frequently Asked Questions on the website, or contact Arts Access Victoria on 9699 8299 or esifis@artsaccess.com.au.